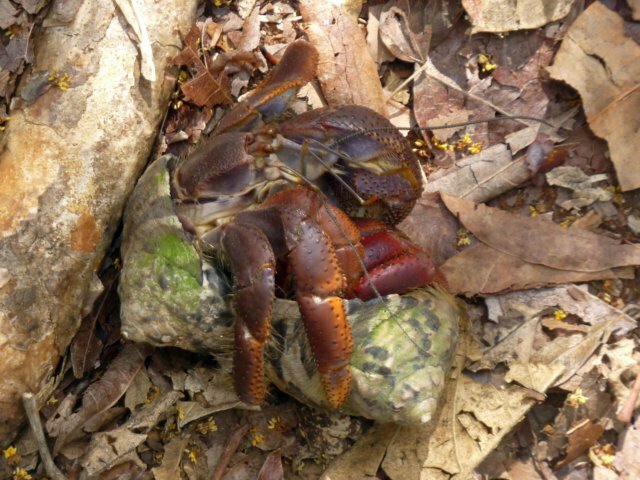 We were treated to a rare sight along the Mastic Trail: two hermit crabs battling over shells. The larger crab on the left wanted the shell of the smaller crab on the right. It really looked like they could afford to switch, but the little crab didn't seem to see it that way.